The career prospects for the hospitality industry is quite good as tourism is booming worldwide and the number of hotels continue to increase each year. Hotels form part of the tourism industry. As the number of tourists grows, more hotels are mushrooming all over Malaysia. Choose to study at the best university and college in Malaysia to prepare you well for a successful career in the vibrant and exciting hospitality industry. Students after SPM or O-Levels who are sure that they want a career in the vibrant hotel industry can choose to study the Diploma in Hotel Management or Diploma in Hospitality Management at a top private college or university in Malaysia. In the hotel management diploma and degree courses at top colleges and universities in Malaysia, students will learn about managerial aspects of this business from the ground up. Students will need at least 3 credits in SPM or O-Levels to join the 2-year diploma. Upon completion of the Diploma, students can continue on to the Hospitality Management or Hotel Management Degree entering into Year 2 for another 2 years. Travel & Tourism continued to show its resilience in 2016, contributing direct GDP growth of 3.1%. In 2016 Travel & Tourism directly supported 639,500 jobs (4.5% of total employment). This is expected to rise by 1.9% in 2017 and rise by 3.9% pa to 956,000 jobs (5.4% of total employment) in 2027. In 2016, the total contribution of Travel & Tourism to employment, including jobs indirectly supported by Visitor exports generated MYR72.6bn (USD17.5bn), 8.8% of total exports in 2016. In 2016, the total contribution of Travel & Tourism to employment, including jobs indirectly supported by the industry was 12.0% of total employment (1,700,500 jobs). This is expected to rise by 1.8% in 2017 to 1,731,000 jobs and rise by 4.0% pa to 2,564,000 jobs in 2027 (14.5% of total).supporting 6 million net additional jobs in the sector. In total, Travel & Tourism generated US$7.6 trillion (10.2% of global GDP) and 292 million jobs in 2016, equivalent to 1 in 10 jobs in the global economy. The sector accounted for 6.6% of total global exports and almost 30% of total global service exports. From the statistics above, you can see that there is a huge demand for specialists in hospitality, culinary and tourism professionals world wide. Your qualification is a passport to an international career or an exciting career in Malaysia. For the sixth successive year, growth in Travel & Tourism outpaced that of the global economy (2.5%). Additionally in 2016, direct Travel & Tourism GDP growth not only outperformed the economy-wide growth recorded in 116 of the 185 countries covered by the annual economic impact research (including in major Travel & Tourism economies such as Australia, Canada, China, India, Mexico and South Africa), but it also was stronger than the growth recorded in the financial and business services, manufacturing, public services, retail and distribution, and transport sectors. According to the Ministry of Tourism & Culture of Malaysia, there were 26.8 million tourist arrivals to Malaysia bringing RM82.1 Billion in receipts. The MyTourismData Portal under Tourism Malaysia shows there were 4,799 hotels and 304,721 rooms in the country as of last year. The statistics from the hotels surveyed show that the average occupancy rate (AOR) for all hotels was 67.1%. Travel & Tourism generated 639,500 jobs directly in 2016 (4.5% of total employment) and this is forecast to grow by 1.9% in 2017 to 651,500 (4.5% of total employment). The total contribution of Travel & Tourism to employment (including wider effects from investment, the supply chain and induced income impacts, see page 2) was 1,700,500 jobs in 2016 (12.0% of total employment). This is forecast to rise by 1.8% in 2017 to 1,731,000 jobs (12.0% of total employment). By 2027, Travel & Tourism is forecast to support 2,564,000 jobs (14.5% of total employment), an increase of 4.0% pa over the period.This includes employment by hotels, travel agents, airlines and other passenger transportation services (excluding commuter services). 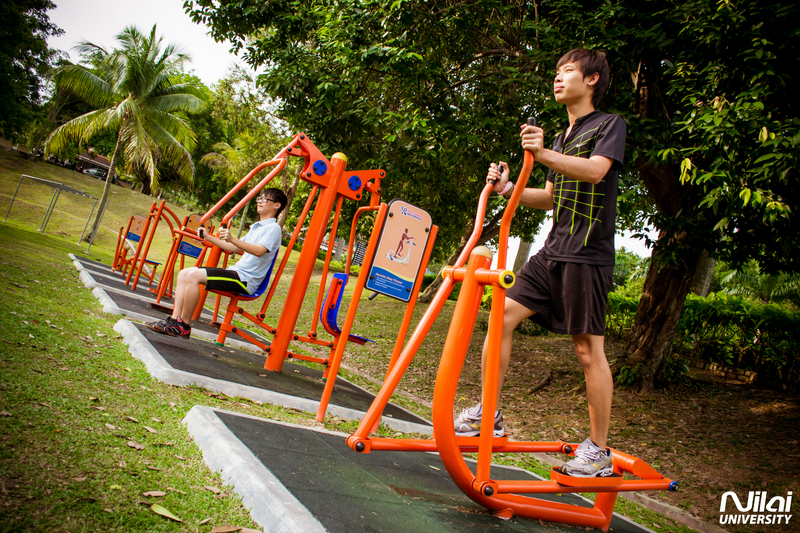 It also includes, for example, the activities of the restaurant and leisure industries directly supported by tourists. By 2027, Travel & Tourism will account for 956,000 jobs directly, an increase of 3.9% pa over the next ten years. The United Nations World Tourist Organisation’s Tourism 2020 Vision forecasts that international arrivals are expected to reach nearly 1.6 billion by the year 2020. East Asia and the Pacific, Asia, the Middle East and Africa are forecasted to record growth at rates of over 5% year, compared to the world average of 4.1%. Total export earnings generated by international tourism in 2013 reached US$ 1.4 trillion. The demand for well trained hospitality professionals will continue to increase. Students must choose the best universities to obtain their training so that they can be successful in the competitive hotel & tourism industry. Having a good command of the English language will be advantageous. With the rise of China’s inbound and outbound tourism, opportunities abound for those who are proficient in both English and Mandarin. Accessing a tourism and hospitality career path has generally been an easy one due to the high staff demand around the globe. This situation remains and staff shortages in these industries remain a major headache for this industry sector. This is bad news for employers, but good news for hospitality graduates. New international hotels, resorts, spas and themed restaurants continue to open regardless of world economical health, offering a wealth of employment opportunities. 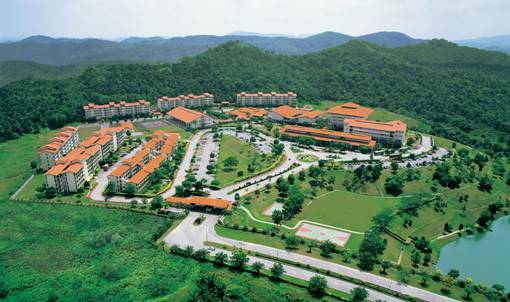 Malaysia has some of the best colleges and universities for hotel management & tourism courses. Students can get excellent training from these institutions at an affordable price. However, it is important to choose the right university with the necessary experience and facilities. The hospitality industry is an ideal career pathway for students who are people friendly, dynamic, critical thinkers, creative, innovative, risk-takers and relish a challenging & exciting lifestyle. They love to help people, explore different cultures, provide solutions, are organized, and possess an international outlook. Professionals not only have ample job opportunities in Malaysia but worldwide! nearly 1.6 billion by the year 2020. East Asia and the Pacific, Asia, the Middle East and Africa are forecasted to record growth at rates of over 5% year, compared to the world average of 4.1%. 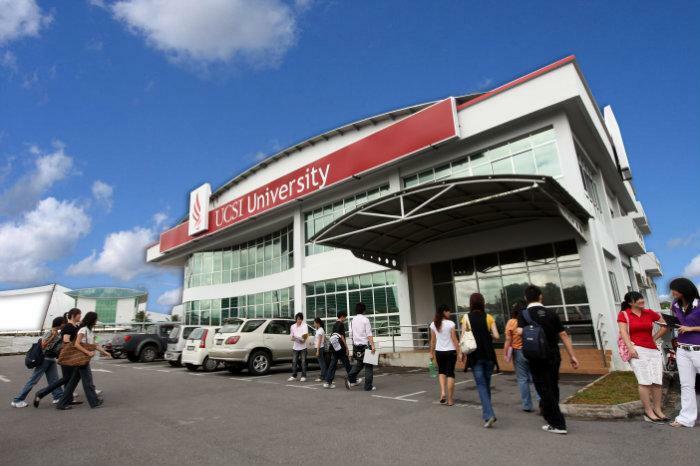 Some of the best colleges in Malaysia offering the top notch diploma programs in hotel and tourism are Reliance College, KDU College Penang, YTL International College of Hotel Management, KDU University College, UCSI University Sarawak, UCSI University KL and Nilai University. Students after SPM or O-Levels with at least 3 credits may enter the Top Rated Diploma in Hotel Management at Taylor’s University. Upon completion of the Diploma in Hotel Management at Taylor’s University, students can enter into Year 2 of the top rated Bachelor of International Hospitality Management (Hons), Bachelor of Culinary Arts & Foodservice Management (Hons) or *Bachelor of International Tourism Management (Hons) (Events Management). Graduates from the Diploma in Hotel Management will receive dual recognition and certification by University of Toulouse (UOT), France and Taylor’s University. Taylor’s University Diploma in Hotel Management is designed to give students comprehensive operational and technical skills for a career in the hospitality industry. The curriculum for the Diploma in Hotel Management at Taylor’s University focuses on the key competencies related to hospitality operations, communication, human relations and cultural diversity. Through this diploma programme, Taylor’s students can gain knowledge on the concept of hospitality and develop operational skills that will allow them to work in different service sectors. Intakes for the top ranked Diploma in Hotel Management at Taylor’s University are in January, March and August of each year. Graduates from the Diploma in Hotel Management will receive the Baccalauréat Technologique Hôtellerie (BTH) from University of Toulouse (UOT), France and the Diploma in Hotel Management from Taylor’s University. Exposure to using Opera (Property Management System) and Micros (Point of Sales) software, which are widely used in the hospitality industry. Well-equipped and state-ofthe- art facilities to aid learning. Exposure to three major operational aspects of the hospitality industry: rooms division, food and beverage service as well as cuisine. Develop communication and customer skills, which cultivates service-minded graduates. 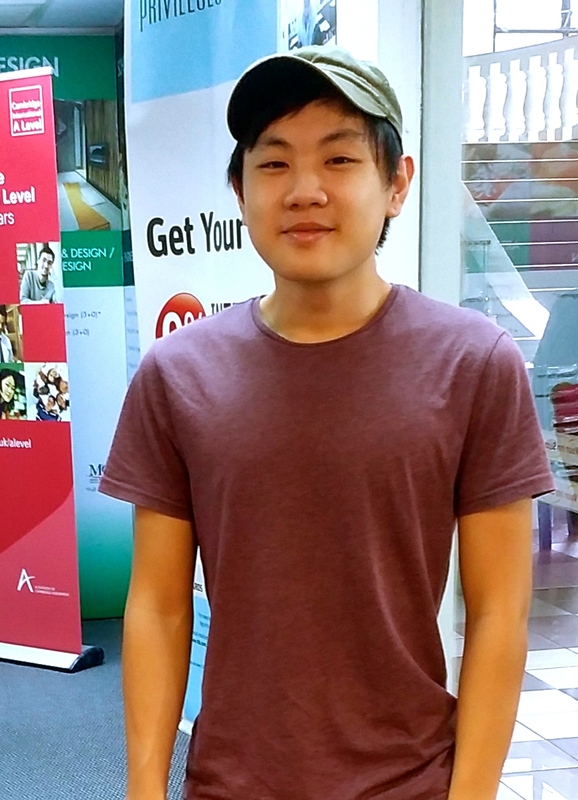 Exposure to introductory business studies such as Marketing, and Accounting. 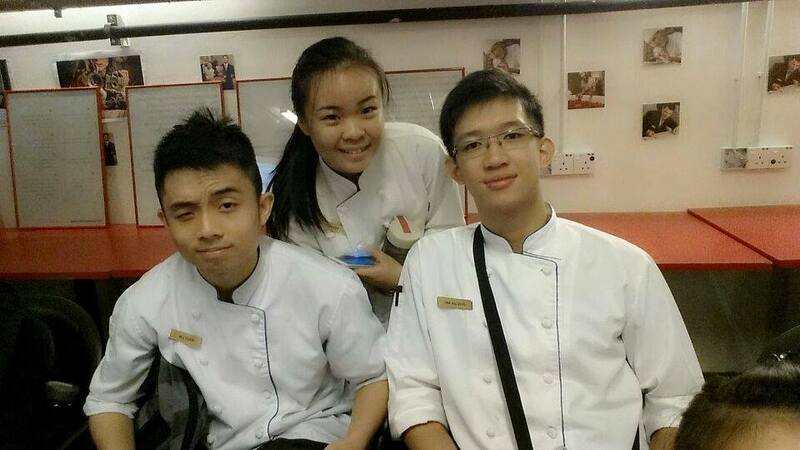 Regular field trips and industry visits to hospitality establishments to understand the industry. 16-week internship in hotels, integrated resorts, restaurants or convention centres to develop relevant skills. 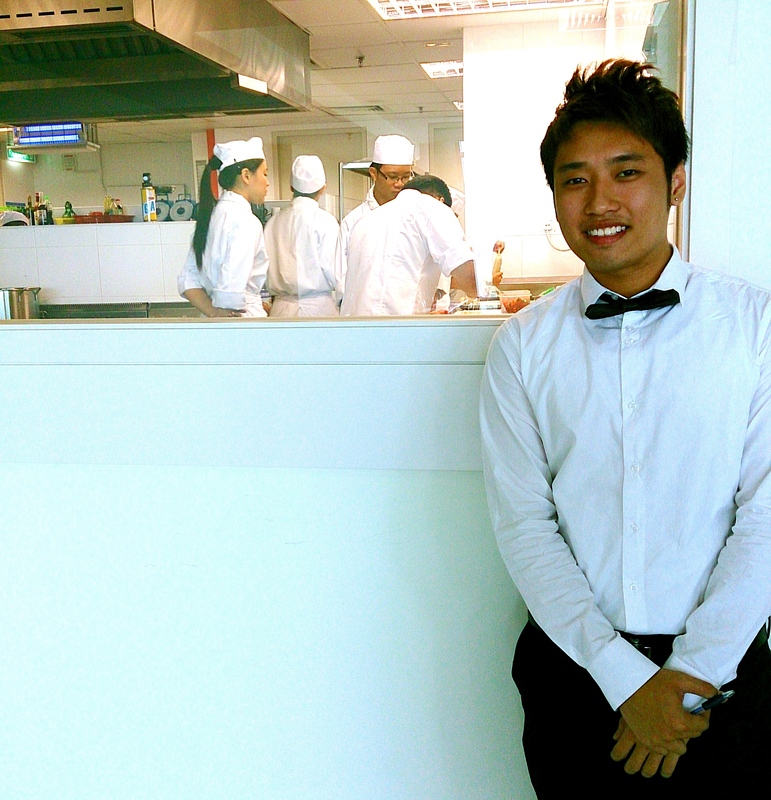 Advanced standing into Year 2 for Bachelor of International Hospitality Management (Hons), Bachelor of Culinary Arts & Foodservice Management (Hons) or *Bachelor of International Tourism Management (Hons) (Events Management). With the Diploma in International Hotel & Tourism from KDU University College, you enjoy a solid foundation in hospitality studies before progressing onto a degree course. The syllabus provides you with a good balance between the theoretical and practical aspects of management in the hospitality industry. Your lecturers comprise various nationalities and you also benefit from interacting with visiting professors who visit regularly to teach and conduct seminars. The modern management techniques in this course will ensure all the right doors are open for you! (YTL-ICHM). Yet going beyond the tangible, it is the world of experience gained that you will probably treasure most. Invaluable knowledge that defines your professional future. The Diploma in International Hotel & Tourism Management at KDU Penang University College is awarded by the prestigious IMI in Switzerland. 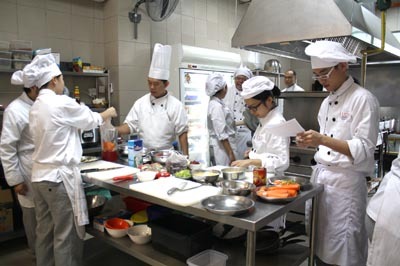 This programme offers you a choice of management or practical aspects of the hospitality industry. KDU Penang University College’s training mirrors their Swiss counterpart’s methods and curriculum; a combination of traditional Swiss hotelier with modern management techniques. In support of this national initiative, KDU Penang University College, the cluster leader under MyCenTHE will offer a Work-based Learning (WBL) under Diploma in Hotel Management. 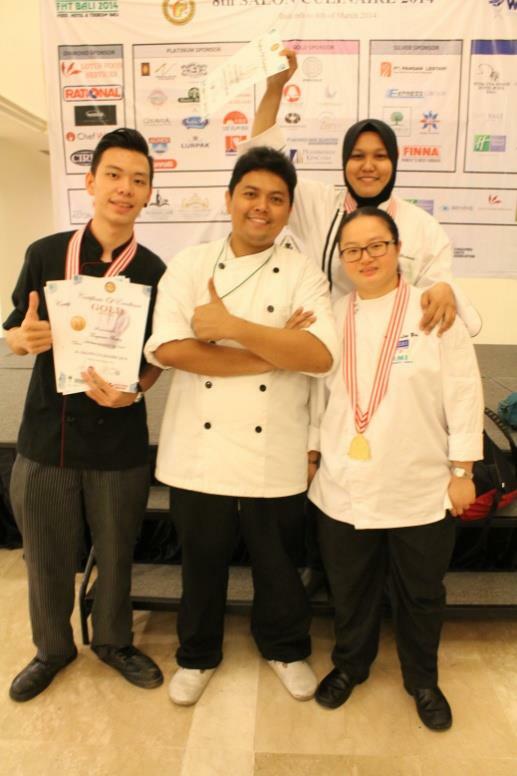 The Award-Winning KDU College Penang Team From left – Waymann Cheong, Chef Muhamad Faizal, Chef Chuah Lay Yen and Norfirdawati binti Ramli (back) with their medals.a chance to receive a quality and recognised hospitality diploma programme that comes with a truly unique experience coupled with fixed allowance throughout their industry attachment. 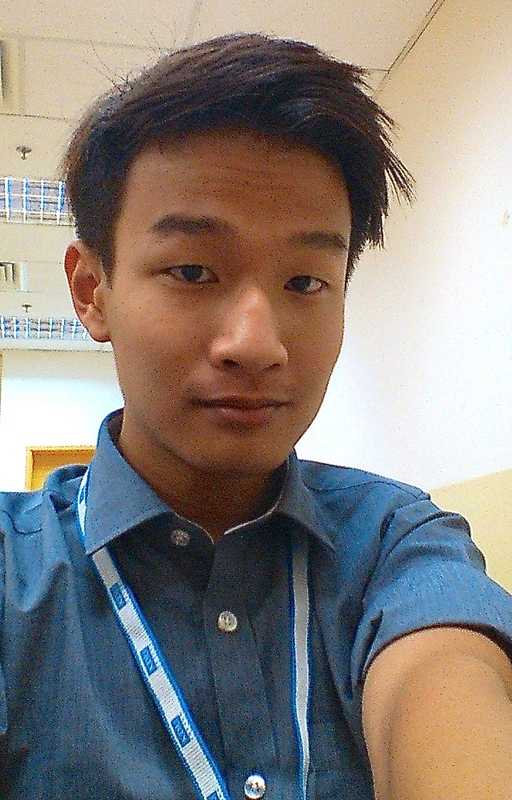 I was lost and did not know where to study until I met EduSpiral. I am very happy that I will have a better future. guaranteed job security at any of their many branches nationwide. UCSI’s Faculty of Hospitality and Tourism Management works to meet the human capital needs of Malaysia and the world – whether the focus is on hotel management, tourism management, culinary arts, or leisure and recreation. Housed at one of Malaysia’s foremost private universities, the Faculty is a hub of discovery and its presence in Kuala Lumpur and Kuching – two of Malaysia’s most popular tourist destinations – sees it providing diverse learning experiences few other schools can. Young, vibrant and innovative, the Faculty is the place where aspiring hoteliers and restaurant managers obtain a ﬁrm grasp of key industrial practices and the underlying assumptions that make them work. By understanding the rules of the game – written and unwritten – through experiential learning, collaboration, innovation and discovery, our students will enjoy a head start in a booming industry that is yet to realise its full potential. For UCSI University Sarawak’sDiploma in Hotel Management, students will obtain the study of multi-disciplined knowledge and skills required for modern management in the global hospitality industry. 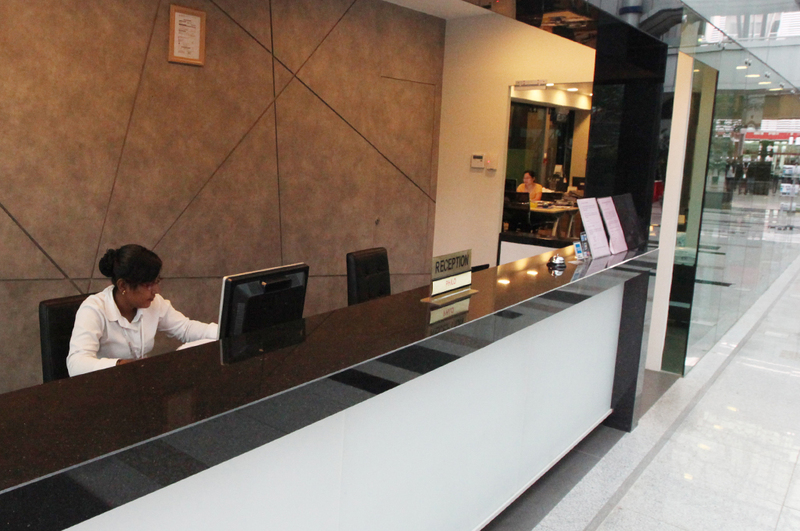 It covers a wide range of areas from Front Oﬃce, housekeeping, food and beverage to managing guests’ experiences. The boom in the global tourism industry creates a continuous demand for well-qualified hospitality personnel. The internationally-recognised diploma at Nilai University is highly regarded and has received much praise from the industry as it offers industry-driven modules, preparing you for an exciting and high-flying career in hospitality management. You will be trained with the best on-campus hospitality training facilities, enabling you to effectively manage various sectors, ranging from food and beverage to front office and accommodation operations, in the hospitality and tourism industry. Graduates of this programme are recognised to enter into the hospitality degree programme at Nilai University or the final year of a relevant degree programme at our reputable partner universities in Australia, Canada, New Zealand, Switzerland, U.S.A. and the UK. 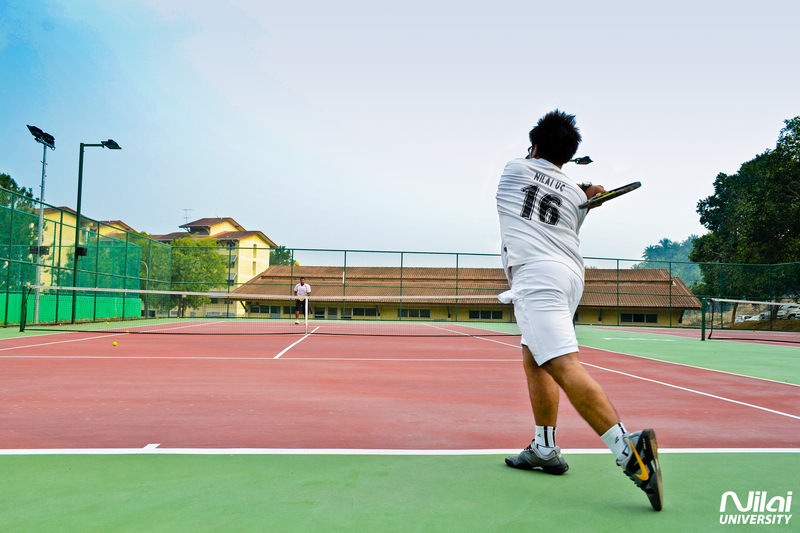 Excellent sporting facilities at Nilai University like the tennis courts, jogging track, badminton courts, basketball courts, and more. provide you with management, marketing, and accounting know-how to spearhead you into a supervisory role within the tourism industry. You will also gain an insight on the relationship between travel, tourism, hospitality and leisure. If you already possess the qualifications, then why would you want to study a diploma? We don’t assist with jobs in Malaysia.